Stay tuned for new developments from CCMC on the radio front! The Cyprus Community Media Centre (CCMC) is hosting a prominent community media activist from India as part of its ongoing advocacy campaign for the recognition of this sector in Cyprus. 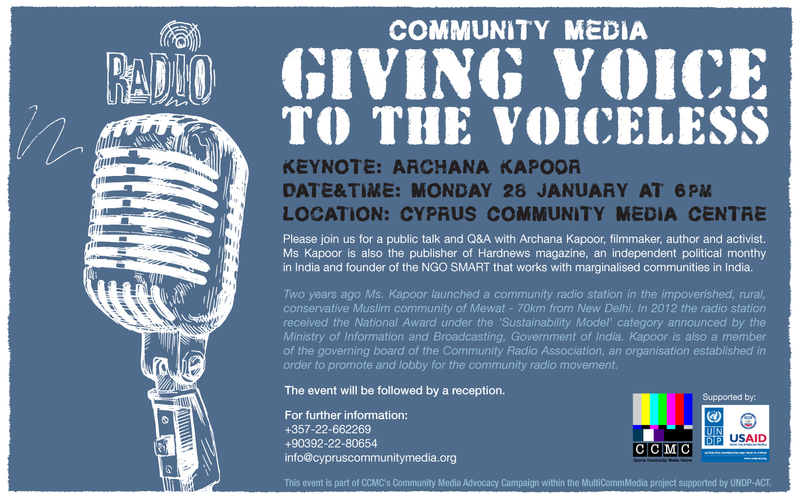 Entitled ‘Community Media: Giving Voice to the Voiceless’ this public talk followed by discussion will feature a keynote speech by Archana Kapoor, a filmmaker, author and activist. Ms Kapoor is also the publisher of Hardnews magazine, an independent political monthly in India, and founder of the NGO SMART that works with marginalised communities in India. Two years ago Kapoor launched a community radio station in an impoverished rural community outside Delhi. 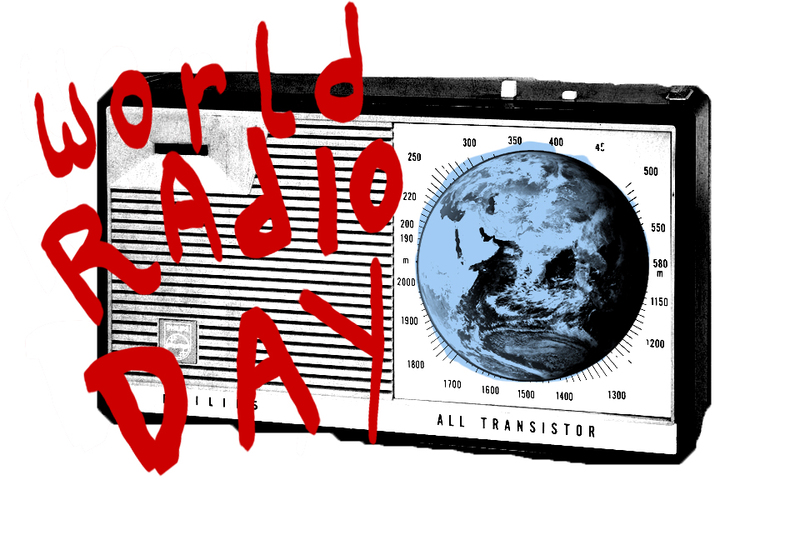 The radio station went on to win a National Award from the Government of India in 2012. Kapoor is also on the governing board of the Community Radio Association, an organisation established in order to promote and lobby for the community radio movement. The event will be followed by a reception. Look forward to seeing you there! Download your invitation here.